Since its launch in 2014, Secret Solstice festival has grown exponentially which is why we’re thrilled to announce that this year the festival site is going to be bigger than ever before. As a matter of fact, we’ve added 5.000 square meters of land to the site (that’s over 50.000 square feet for our American friends) and most of it pure Icelandic green grass. Impress your friends by memorizing our new festival map before arriving to Iceland and be the go-to guy for finding the next bar, stage or delicious food truck. 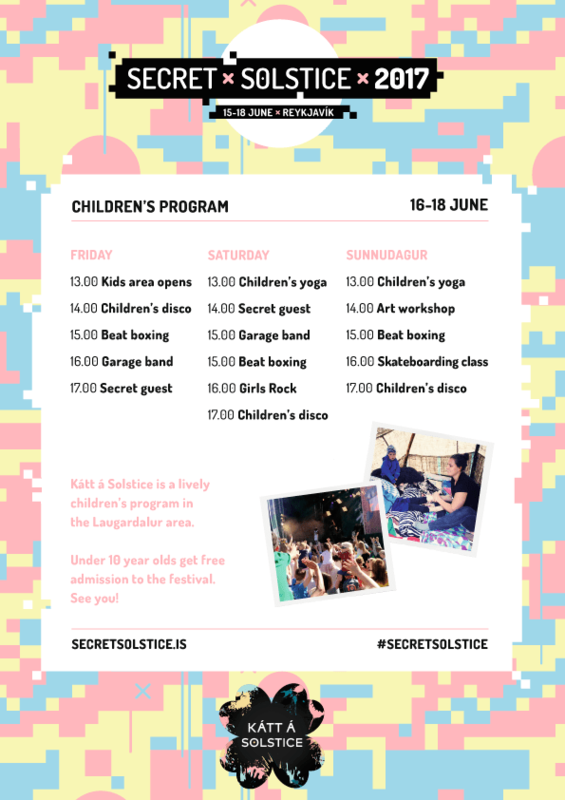 Now for our moms and dads, at Secret Solstice festival, we love kids so much they can come to the festival for free if they’re under ten years old and accompanied by a ticket-holding adult! We want to ensure everyone the absolute best festival experience, even if your five or fifty years old. That’s why this year we’ve teamed up with three amazing women who will be running a special kids zone at the festival site. The mini-site is called “Kátt á Solstice” or “Fun at Solstice” and has a lot to offer for children of all ages. For example temporary tattoos, face painting and special baby yoga but will also offer a lot of music-related activities such as beat-boxing tutorials. The kids can also build their own instruments and even start their own garage-bands that perform for the crowd. 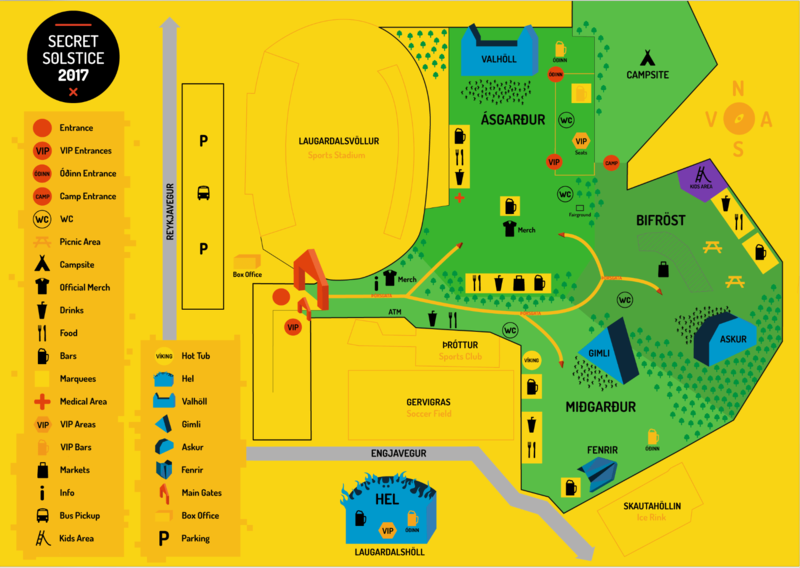 Changing facilities will also be available for the youngest crowd and a chill-out area inside a cozy tent. “Fun at Solstice” starts at 13:00 every day of the festival and to be perfectly honest, the program even measures up to the amazing line-up we’ve put together for the festival itself. Check it out below.